“Veterans are a tight-knit group of people. Treat them right and do a good job and they’ll pass along your name to their friends and colleagues,” Neil Brooks, a REALTOR®, a Navy veteran, and the branch manager of HomeSmart International in Scottsdale, AZ tells RIS Media. This lucrative market is a reason why you should familiarize yourself with the benefits of Veterans Administration (VA) loans. They offer lower interest rates than traditional home loans, and veterans are able to use the loan more than once and for more than just a single-family dwelling. That means that you are able to present more opportunities to vets and military service professionals. In fiscal year 2017, a total of 740,386 home loans were guaranteed by the VA. The average loan amount that year was $254,864. Since 1944, more than 22 million vets have made use of their home-loan benefits. The homeownership rate among vets is higher than the general population, according to didyouserve.org. The homeownership rate among vets is near 80 percent, while the general population is at 64 percent. In addition, 75 percent of military service members say owning a home is one of the most important things upon returning from service. Becoming well familiar with the details of VA loans shows your military/veteran client that you can help them navigate the homebuying and home selling process. This may lead to recommendations to other potential clients in the military/veteran community. Many may be disabled or suffer from post-traumatic stress disorder (PTSD). If so, you may be able to help them with special housing grants or homes with adaptive use environments. Many real estate professionals are somewhat familiar with the VA loan, but not all are aware of who qualifies, and all the comprehensive benefits to which veterans are entitled. Remember that the VA loan is not issued by the government; it’s issued by private mortgage lenders, but portions of the loans are guaranteed by the Department of Veterans Affairs. Benefits of a VA loan include no down-payment requirement (100 percent financing) and no private mortgage insurance requirement. This could lead to more choices. “If you’ve served 90 days consecutive of active duty service during wartime or 181 days of active duty service during peacetime, or if you’ve got more than six years of service in the National Guard and Reserves or you are the spouse of a service member who’s died in the line of duty or as a result of a service-connected disability, you may be eligible for these benefits,” Samantha Reeves, an agent education manager at Veterans United Home Loans tells RIS Media. Familiarize yourself with all the eligibility details at Veterans United. If you’re working with a vet who was in the army years or even decades ago, know that they are still eligible for a VA loan. Once you’ve completed your military service, you are eligible for VA loan benefits; the privilege does not expire. Veterans’ mortgage insurance is actually rolled into the price of the property. This is not possible with a Federal Housing Authority loan, so be aware of the difference. Keep this in mind when showing properties; a vet applying for a VA loan may be eligible for a more affordable interest rate, which isn’t offered with conventional or FHA financing. These loans can help to make the property more earth friendly, with considerations like heat pumps, and storm-and-thermal window installation. Find the VA regional loan center in your market and become familiar with them. Join veteran organizations and get to know their real estate needs. 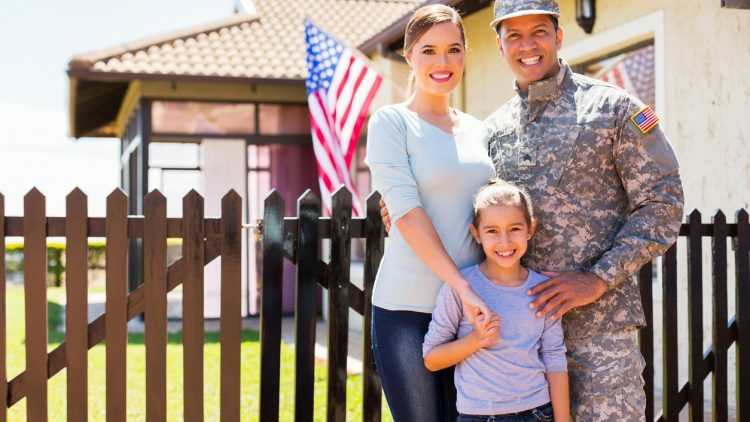 The “Did You Serve” certification is an awareness initiative created to better educate real estate agents about the homebuying benefits veterans are entitled to through their military service. The certification is meant to better serve vets and military families.